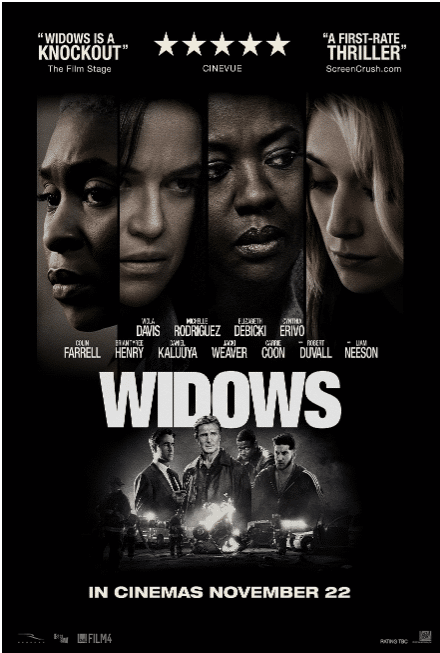 Steve McQueen, the Academy Award-winning filmmaker, brings us Widows. Within the opening moments of this elevated thriller, it’s evident that we’re witnessing something made by a true master of his craft. An engaging movie with hard-hitting drama and strong acting from all of the cast, it’s a heist story, but focuses more on the other elements involved — politics, corruption, greed, revenge and empowerment for women.